If you’re coming to Denver from Europe, this fascinating East Coast tour is the perfect fit. Fly into the vibrant city of Boston - with the highlight a walking tour of esteemed Harvard University. A luxury coach will take you to New York (visiting a Rhode Island mansion along the way). In the Big Apple you take a sightseeing tour of Manhattan and then enjoying two days to explore this amazing city at your leisure. Arrive via Hawaiian Airlines in Boston the late afternoon or early evening. Guided sightseeing tour of Boston with a walking tour of the Harvard University campus. Rest of the day at leisure. 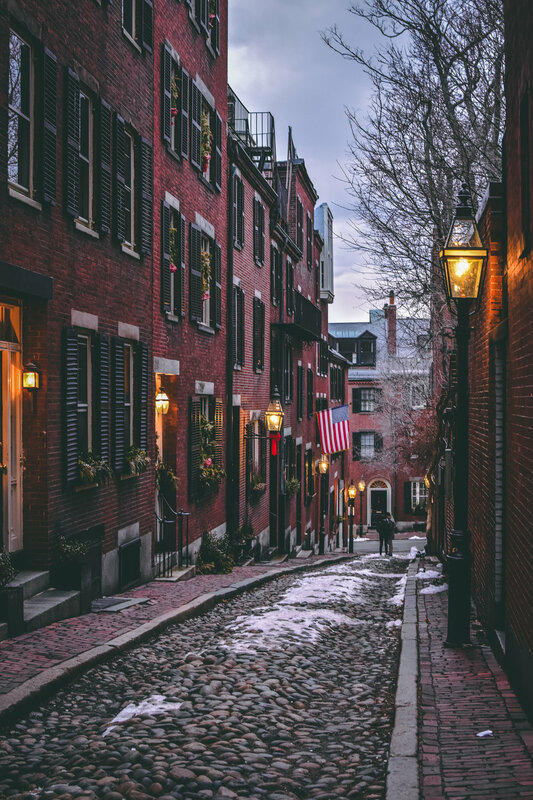 Boston is a great place to delve into American history and visit landmarks of the Revolutionary era - such as Paul Revere’s House, Faneuil Hall and the Boston Tea Party Ships and Museum. At leisure in Boston. Optional tours. Sports fans can tour Fenway Park, home of the Boston Red Sox. Or how about a visit to Quincy Market which opened in 1826 and is still serves up good food, has plenty of great shopping and a lot of places to sit back and take in the atmosphere. Coach transport Boston to the amazing melting pot of New York with a stop enroute at Newport, RI for a mansion tour. Overnight in Manhattan. Guided sightseeing tour of Manhattan in the morning with the rest of the day free. It’s hard to know where to begin, but here are a few highlights - explore 843 acres of Central Park by foot, bike or horse-drawn carriage, walk or bike over the Brooklyn Bridge, head up the iconic Empire State Building for a brilliant birds-eye view. At leisure in New York. Another day to take in New York’s wonders. Take the Staten Island Ferry across to the Statue of Liberty, take a look at the historic Grand Central Station (check out the Whispering Gallery) or grab a bite at the Chelsea Market, one of the city’s most popular urban foodcourts. At leisure in New York. Catch one of the many shows on Broadway, visit the 9/11 Memorial at Ground Zero, or pick a museum - Metropolitan Museum of Art, American Museum of Natural History, Museum of Modern Art and many more. Coach transport from New York to Washington, DC with a guided sightseeing tour upon arrival and a night-time monuments and memorials tour. Overnight in Washington, DC. At leisure in Washington, DC. Here are some of the local highlights - the White House is an absolute must-see, as is the Lincoln Memorial which is home to the reflection pool and Martin Luther King Jr Memorial. At leisure in Washington, DC. The District Wharf is home to more than 20 restaurants and bars, music venues, shops and live events. Arlington Cemetery is the final resting place of more than 400,000 fallen from Iraq, Afghanistan and WW1, WW2, Korea and Vietnam. Or maybe take in the world famous Smithsonian Museum. Fly from Washington, DC to Denver.